Lap Band: Revision, Removal, Conversion - UCLA Bariatric Surgery, Los Angeles, Southern CA. The Lap Band, also known as the adjustable gastric band, involves an inflatable silicone band that is placed around the upper portion of the stomach to achieve weight loss. This creates a small stomach pouch above the band, leaving the rest of the stomach intact below it. Adjustments made to the band will increase or decrease the size of the passageway between the two parts of the stomach. The purpose is to slow down and limit how much food you can eat at any given time. I have more energy than I've had my entire life! Lap Band surgery is both minimally invasive and completely reversible. However, the majority of patients do not have good results from this procedure because of its many disadvantages and complications. Many studies have shown that more than half of the gastric bands are removed due to inadequate weight loss or complications after 7-10 years. Heartburn or Reflux: Some patients may develop heartburn or esophagitis after Lap Band surgery. The Lap band once was the most popular bariatric procedure in United States in early 2010s. However, due to the inadequate weight loss, weight regain, and high long-term complication rate, the use of the Lap band has sharply decreased worldwide and in United States. Nowadays, the Lap band constitutes less than 10% of all bariatric procedures and the number of lap band procedures nationwide continues to go down every year. According to American Society of Metabolic and Surgery (ASMBS), about 35.4% of all bariatric procedures were Lap band in 2011. This number has decreased to 20.2% in 2012, 14% in 2013, 9.5% in 2014 and 5.7% in 2015. 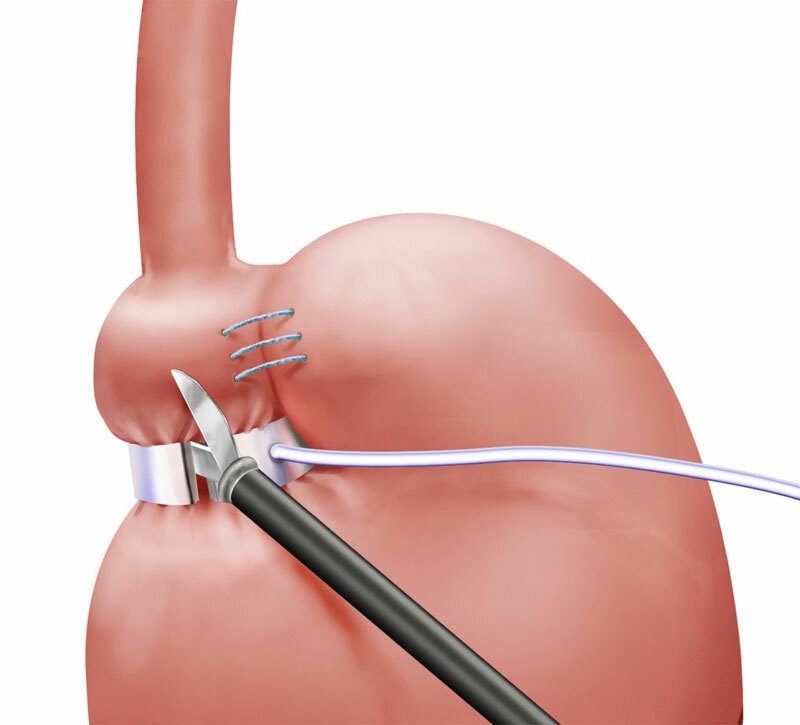 If a patient cannot lose enough weight (about 25-30% of excess their weight) or have significant weight regain, lap band removal and conversion to another more effective bariatric procedure may be indicated. This is the most common reason for lap band removal. Slippage can occur when the Lap band moves down the stomach and creates a bigger pouch above the band. This can be treated, sometimes with removing the fluid from the band or surgical reposition. However, band removal may be necessary in some cases. 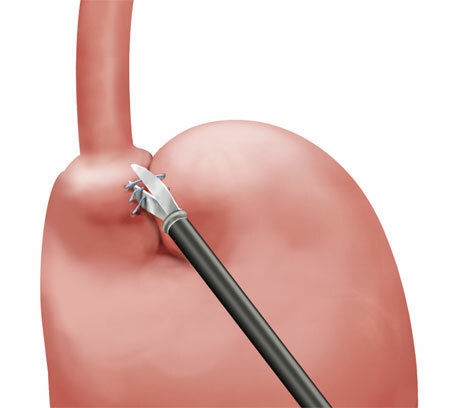 Some patients may develop new heartburn symptoms after lap band procedure. If the heartburn symptoms are severe, this may lead to esophagitis (inflammation of the esophagus). For patients with severe heartburn symptoms that do not respond to anti-acid medications, lap band removal may relieve the symptoms. With long-term use of lap band, some patients may develop esophageal dilation (expansion of tissue), dysmotility (lack of movement) or esophagitis (inflammation). Fluid removal or lap band removal may be required for patients with severe symptoms. Most lap band removal procures can be done laparoscopically. This is a relatively easy and safe operation depending on existing complications. Insert laparoscopic instruments through small incisions. In most cases, the surgeon can use the old incision. Cut the scar tissue around the band. Cut the tubing and band. Pull out the band from around the stomach. During the initial operation, the upper part of the stomach (fundus) is usually sutured to the part of the stomach above the band to prevent band migration. Some general surgeons tend to leave the adhesions and those sutures in place during the Lap Band removal surgery. However, it is very important to remove those sutures and lyse the adhesions. This will restore the original anatomy of the stomach and make subsequent or later revision surgery much easier. 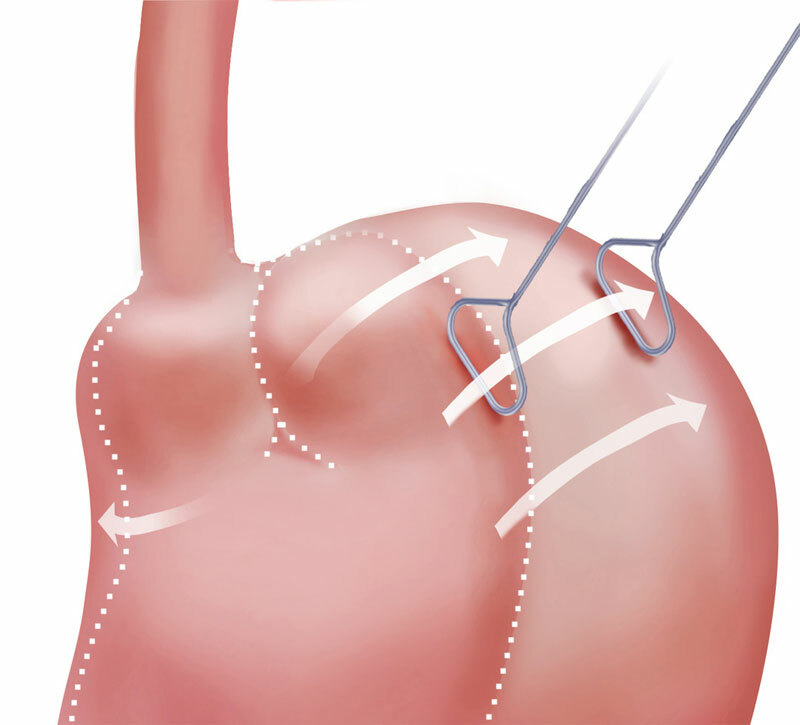 After removing the gastric band, removal or incision of the perigastric capsule (dense scar tissue around the upper part of the stomach or esophagus) will reduce the chance of obstruction after surgery. 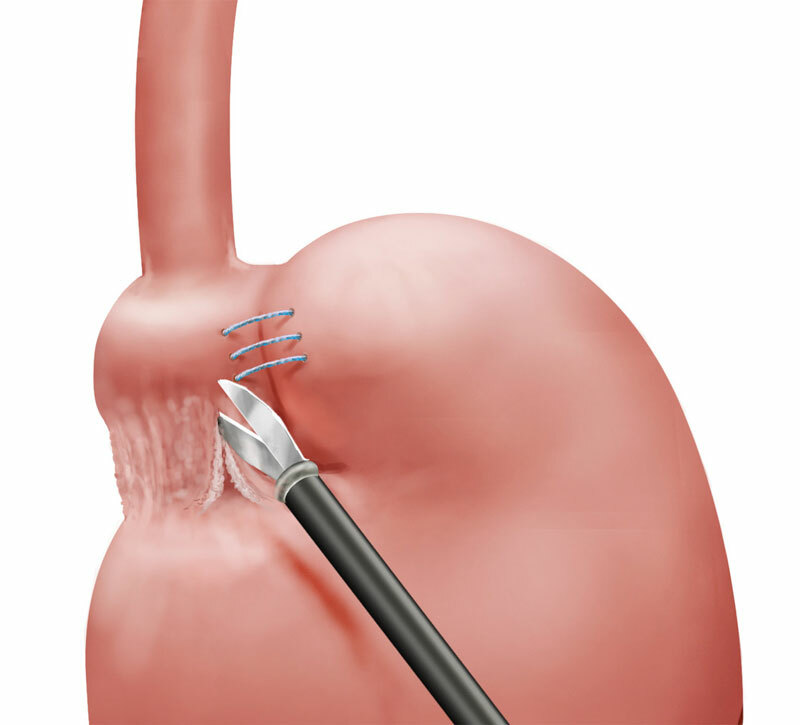 For patients who want to convert to a more effective bariatric procedure, the surgeon may proceed with the sleeve gastrectomy or gastric bypass surgery following the removal of gastric band or perform a revision three months later. If you have an intolerance and/or complication to the gastric band, such as nausea, vomiting, dysphagia, slippage, or erosion, removal of your band offers immediate symptom relief. However, without converting to another bariatric procedure, many patients regain weight after Lap Band removal. At UCLA, we offer minimally invasive gastric bypass or sleeve gastrectomy surgery, 3 months after Lap Band removal surgery. Significant Weight Loss Difference: In the long term, patients have much greater weight loss with gastric sleeve than with Lap band. Low Complication Rate: The long-term complication rate of the gastric sleeve is extremely low, while more than half of Lap Band Surgery patients need to have their gastric band removed at some time point.